Making over a vintage trailer probably isn’t something that most of us are going to have a chance to do…but you never know! What I do know is that I love it when I see someone take something old and fix it up to give it a new start at life. So, seeing these once-forgotten camping trailers made fresh and pretty just makes me happy! 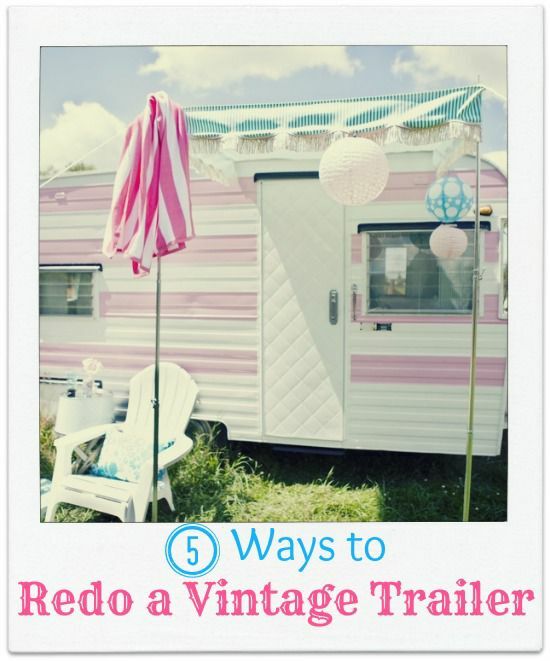 Have fun peeking inside these sweet little homes on wheels as I show you 5 Ways to Redo a Vintage Trailer.